ST-Ericsson, the joint venture between Sweden’s Ericsson and France’s STMicroelectronics, is planning on undergoing a restructuring event within the next few weeks which may position the struggling mobile chipmaker to be viewed as a “strategic asset” by potential buyers. The restructuring event is expected to include site closures and major layoffs. This plan to lower costs is due to be unveiled by Didier Lamouche, Chief Executive, by the end of March. Reuters has reported that potential buyers could include AMD, Intel, NVIDIA, and Texas Instruments. Considering ST-Ericsson is under new leadership, it is anticipated that interested parties will most likely stall negotiations over the course of a year or so in an attempt to see improvement in the company prior to an acquisition. When asked about one company buying out the other or an acquisition by a 3rd party, neither STMicro nor Ericsson chose to comment on the matter. Lord knows I never knew that these guys produced chipsets, or perhaps I just didn't pay attention. They sound like they got pushed under the rug by the big names in the industry. One needs to question the quality of editing sometimes, was this directly quoted from Reuters? "ST-Ericsson is most famous for its modems used in smartphone, but its NovaThor chipset is a formidable competitor to Qualcomm’s Snapdragon processor. " Find the gaffe in that...if you know use the English language often you should be able to find it as it makes you question what on earth is the writer alluding to. I actually like the Novathor chipsets. With a little tweaking I have a feeling it can compete with the mighty Exynos. Though performing fairly and is abundant, Qualcomm SoCs are a bit lagging behind so no good being compared to it (in terms of performance). Well, ST-Ericsson is pretty young company, founded by ST and Ericsson in 2009. 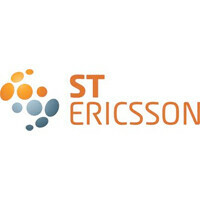 Both Ericsson and ST are strong companies in their respective businesses. Let's hope they will not sell it to other company. Last year PA reported that HTC Sensation Z710t bound for China Mobile will use ST-Ericsson's dual-core NovaThor chipset. Did that device ever ship? Any update on the performance of the chipset? There was also a PA report last year that the SonyEricsson LT22i Nypon will use ST-Ericsson NovaThor dual-core chipset. What happened to this story, any more news about it? Did this device see the light of day? Any update? I also remember reading an article elsewhere that Nokia would prefer the NovaThor chipset for its WP7 devices to bring down prices but Microsoft opposes it. But that we'll still probably see the chipset in Nokia's WP8 devices later in 2012... So what's the development on this story? LT22/LT22i is the Sony Xperia P announced at MWC. It does use NovaThor. NovaThor 8500 is also in the Xperia U and forthcoming Xperia Sola, and the Samsung Galaxy Beam (I-8530).